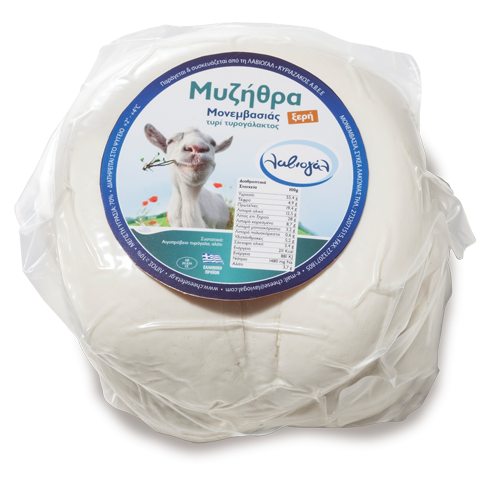 Myzithra is a traditional cheese made from sheep and goat milk. Different variants of myzithra can be found throughout Greece and Cyprus, such as “xinomyzithra” and “anari”. 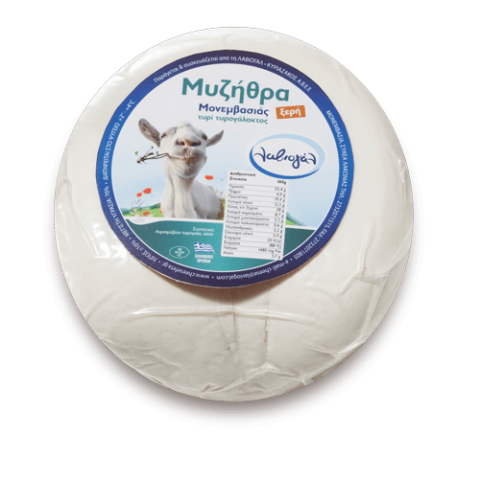 Myzithra is a low-fat cheese, so it’s a great choice for those who stick to a healthy diet. Its unique taste, however, can be appreciated by everyone and especially by those who love pasta, with which they pair wonderfully, offering a delectable experience. 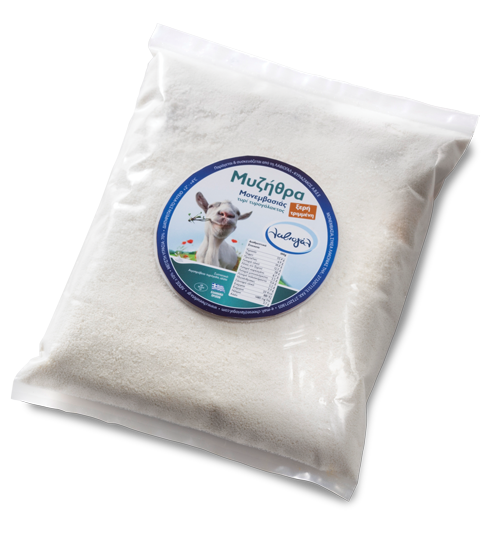 Our Dry Myzithra from Sparta is available in vacuum packs of 1kg as well as grated in a 400g package. If you are a pasta enthusiast, try adding grated myzithra for a special, lighter taste—it will surely excite you!